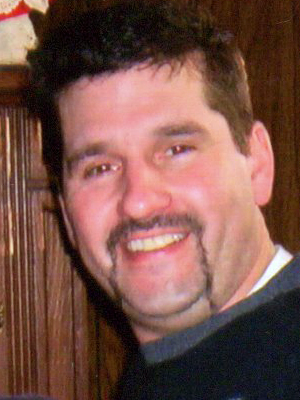 Todd James Harding, of Shakopee (formerly of Owatonna and Jordan) passed away unexpectedly at the age of 50. A gathering of family & friends will be held on Monday, November 5, 2018 from 5:00 – 8:00 PM with a Celebration of Life Service at 7:45 PM at Ballard-Sunder Funeral & Cremation (104 First Street West) in Jordan. On March 8, 1968, Todd James Harding came into the world. As a boy, Todd loved growing up in Jordan. He spent a lot of time outside playing with friends, biking, sledding and helping out on the Dvorak farm. Eventually, Todd’s family moved to Elmore. During high school, Todd participated in wrestling and football. He was a talented athlete and loved sports the rest of his life. Todd graduated from Elmore High School in 1987. Following high school, Todd enlisted in the United State Marine Corps. Just before he shipped out to San Diego for training, Todd married Shanda Miller. During his military service, Todd served both domestically and abroad in Okinawa, Japan. Todd never talked much about his time in the armed forces, but he was always proud to have served his country. After being discharged from the Marines, Todd and Shanda started a family. They were blessed with two wonderful children, Miranda & Mitchell. They settled in Owatonna to raise their family. When the kids were little, Todd would play catch with them in the backyard, bring them on motorcycle rides, even enjoyed participating in Karate classes with his children. Todd also passed on his curious spirit to his kids. He frequently took them to the Science Museum and the Discovery Store at the Mall of America. Eventually, Todd and Shanda went their separate ways, but they both remained dedicated parents. Todd always had such a strong work ethic, and he worked hard to provide a good life for his kids. He held various jobs over the years but spent most of his time as a driver in the trucking and transportation industry. He was a very reliable employee and well-liked by his coworkers. He took great pride in the ideal if you want something in life you worked hard for it. When Todd wasn’t working, he was out on his motorcycle. He loved going for rides with his sister and any other friend who was up for a ride. Todd also loved music and was the biggest Metallica fan. He even has a Metallica tattoo. Todd enjoyed cheering on the local sports teams like the MN Twins, Vikings & Wild. A highlight of his year was taking his grandson on their annual trip to a Twins game. Throughout his life, Todd had lots of hobbies, but family was the most important thing in his life. He loved his children and grandchildren deeply. He was proud of all of them. Todd had a huge heart, and he always showered his family with love. Todd didn’t just show love to his family, he was so kind and generous to everyone he met. Todd was a man of great wisdom. He left a handprint on the heart of all he met. He will be remembered always as a kind and generous man who was funny as hell. He will be deeply missed by his children, Miranda (Brian Brown) Harding & Mitchell Harding; grandkids, Kaden, MaKaila & Jace; parents, Barb & Russ Huber; siblings, Linda Adams, Chad Harding; half-siblings, Brian (Wendy) Harding, Kelli (Joe) Galbraith; other loving relatives and friends. To the Harding Family, I’m very sorry and saddened to hear of Todd’s unexpected passing. I competed with and against Todd in many sporting events and worked with him at the Country Kitchen in Blue Earth back in High School. Many great memories from those times. We both went our separate ways into military service and had lost touch with one another. I will be thinking of him today and I send my heartfelt condolences, thoughts and prayers with you all at this difficult time. May God Bless you my old Friend! Thinking about all of you!! Todd was an amazing guy, dad, and great person all around. My condolences to all the family!! Take care, your in my prayers!! Chad and Family, sorry to hear about Todd. I was in school in Elmore, we were on the same school bus route, also on the track team and he sure knew how to get everyone in the spirit. I know my mom (Deb Ehrich) had some good talks when she worked at Gary’s Ag Corner Store in Elmore. Chad remember that Todd will be with everyday, and to lean on family and friends to get threw the next couple of days and weeks. So sorry for your loss. Praying for you all. God Bless. My thoughts and prayers go out to the family. I am so sorry for your lost. I’m so sorry to hear of Todd’s passing. In high school he had a larger than life personality and was always the source of joy, laughter and maybe a little mischief. 🙂 My family will be praying for you all. I was saddened to hear of Todd’s passing. I met him in 8th grade and you had given me rides home many times. I was shy and didn’t want to impose but Todd always insisted that you and he wanted to see me home safely. Todd was always so kind and had a great sense of humor. He leaves a wonderful legacy in his children and grand children. Your family is in my thoughts and prayers. So sorry to hear the loss of Todd. We enjoyed visiting with him, and we will never forget his “bank robbing “ story. We still laugh when we think of that. I’m saddened to hear of your loss. May your memories of Todd bring you peace and comfort. sorry for the loss of todd. I worked with him at kelley! I spent two months training him. He was a great guy, loved his family and genrally had a great attitude. He will be missed! With my sincerest sympathy to Mitch and his family. I cannot image the feeling of losing a parent at such an early age, but try to remember the memories that you had made in the time your father was here, may it give you comfort and peace, reading your father obituary he sounds like you, with the carefree and adventurous spirit, may he live on in you.